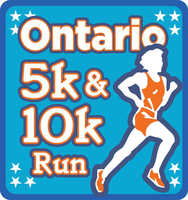 Register to join the Ontario Mills 5k/10k Run and Walk participants. This event can be used as a warm-up for LA Marathon. Medals will be handed out to all participants; We have age groups on both the 5k and 10k. Run for your health while supporting the Christian Okoye Foundation's effort to raise money for Inland Empire children. Packets Pickup: 10184 Sixth Street, Ste G, Rancho Cucamonga, CA 91730, Saturday, January 15th, 2016 - 02:00pm - 6:00pm. If you are coming from out of town and can not make it, please arrive early, 5:30am for packet pickup on race day. The rout is mostly flat and out of traffic danger. There will be signs and volunteers directing runners and handing out water. See you there. There will be no refunds after you register. Participants cannot transfer registration to another runner. T-shirt sizes are not guaranteed to race day entries. If you registered and are unable to participate, send your name, address and t-shirt size, and we will send your packet to you. Awards and prizes will follow immediately after the race. The run benefits the Okoye Foundation supporting several children’s programs and its promotion of school attendance among children in the Inland Empire area. Please indicate age for the 12 and under participants.